The Canadian prime minister is on week-long visit to India. Mr Trudeau is accompanied by wife Sophie Gregoire Trudeau and three children -Ella-Grace, Xavier and Hadrien and a delegation of ministers. Amritsar: Following his Mumbai visit, Canadian Prime Minister Justin Trudeau went to Amritsar on Wednesday. He was received by Hardeep Singh Puri and Navjot Singh Sidhu at the airport. 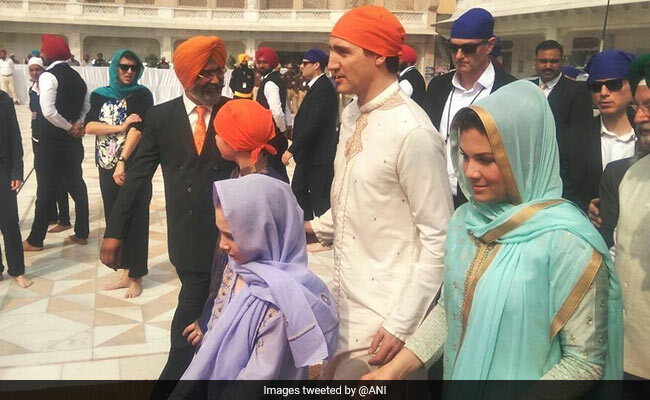 Mr Trudeau paid obeisance at the Golden Temple along with his family. A thick security blanket was put in place in and around the Golden Temple. 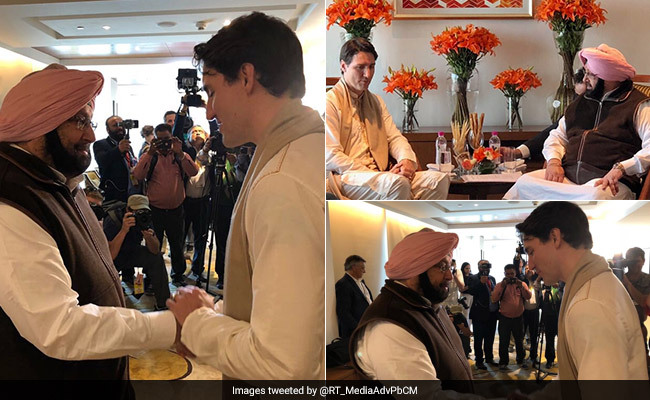 Punjab Chief Minister Amarinder Singh met Justin Trudeau in Amritsar for a one-on-one meeting. 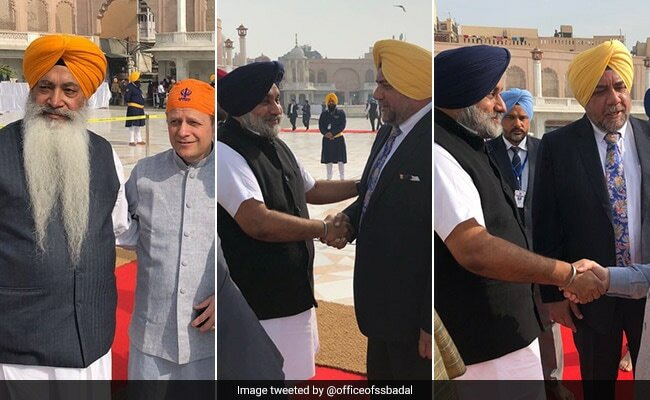 Former deputy chief minister of Punjab and president of the Shiromani Akali Dal Sukhbir Singh Badal and his wife Union minister Harsimrat Kaur Badal also met the Canadian PM at Golden Temple. 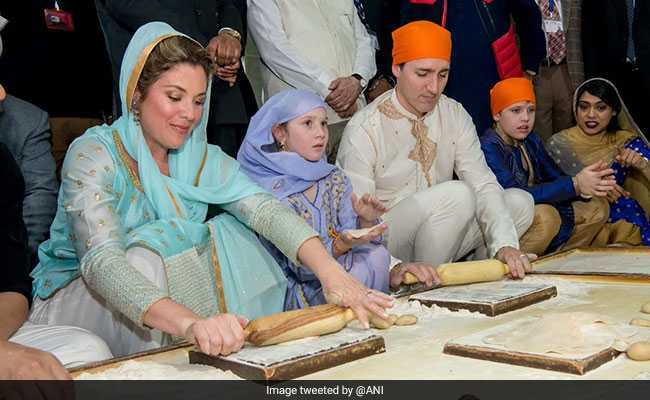 Mr Trudeau attended langar, which is the community kitchen of the Golden Temple. 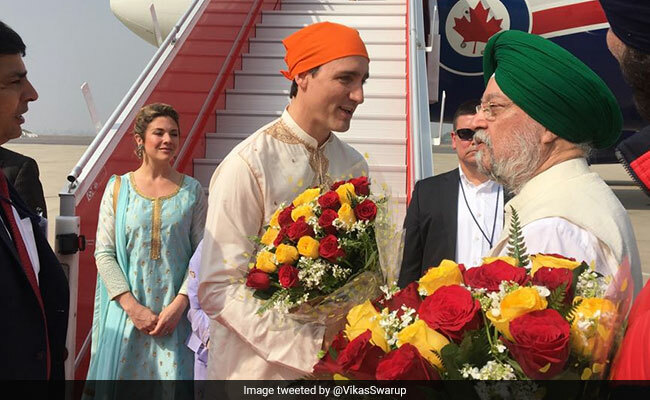 The Shiromani Gurdwara Parbandhak Committee arranged for a specially crafted 24-carat gold-plated portrait of the shrine and a gold-plated 'Siri Sahib' (a small six-inch sword) that was presented to the Canadian PM along with a 'siropa' (robe of honour) and a shawl. After much speculation, a meeting between Canadian Prime Minister Justin Trudeau and Punjab Chief Minister Amarinder Singh took place at Amritsar today. 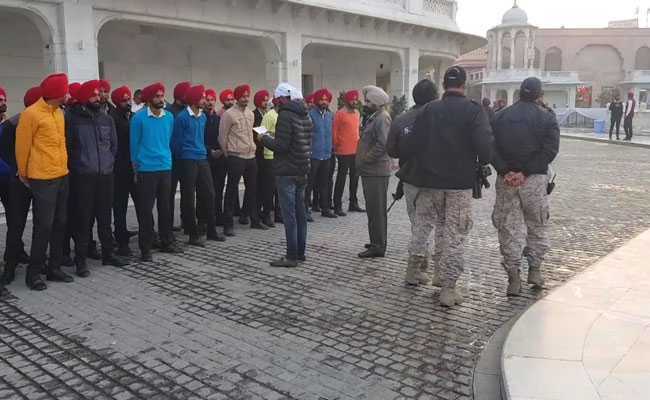 Mr Singh also interacted with all six ministers accompanying Mr Trudeau, in a significant departure from his stance linked to the Khalistan controversy." Justin Trudeau meets Punjab chief minister Amrinder Singh for a one-on-one meeting. Oscar winning music director AR Rahman welcomed Justin Trudeau in India with a tweet. 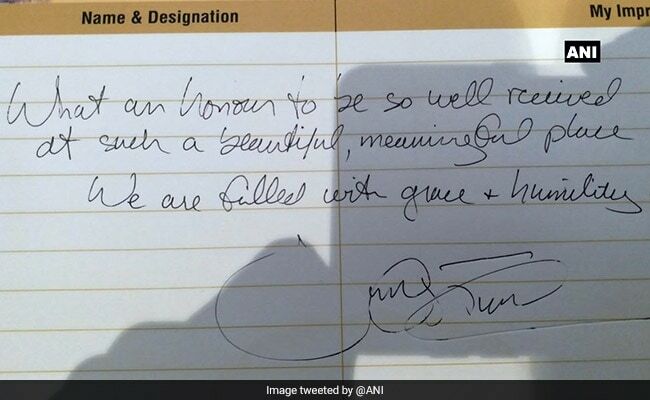 Justin Trudeau writes he was "filled with grace humility" in the visitors' book at the Golden Temple in Amritsar. Justin Trudeau arrives at the Golden Temple with his wife and children. 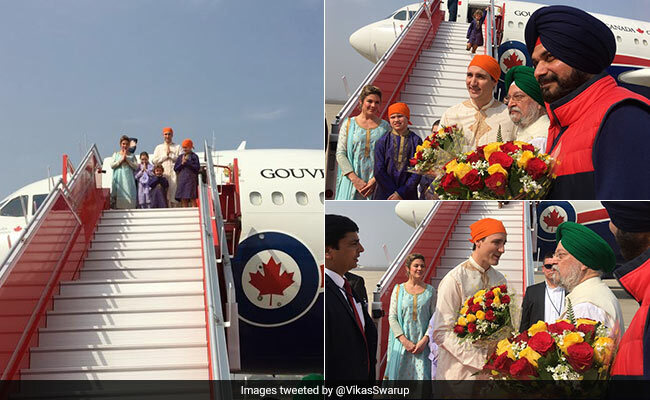 Union Minister Hardeep Singh Puri and Punjab Minister Navjot Singh Sidhu receive Justin Trudeau and his family as they arrive in Amritsar. Justin Trudeau lands in Amritsar accompanied by family and delegation of ministers. Sukbir Singh Badal arrives at Sri Darbar Sahib to welcome Canadian Prime Minister Justin Trudeau. Punjab chief minister Amrinder Singh arrives at Hotel Taj Swarna in Amritsar to meet Canadian Prime Minister Justin Trudeau. 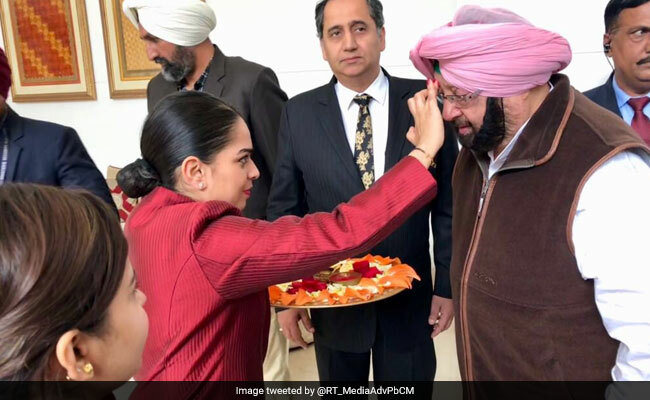 Punjab Chief Minister Amarinder Singh to meet ministers accompanying Justin Trudeau amid row over Sikh radicalism in Canada. "The 20-minute meeting between Punjab CM Capt Amarinder Singh & Canadian PM Justin Trudeau can take Punjab 20 years ahead. 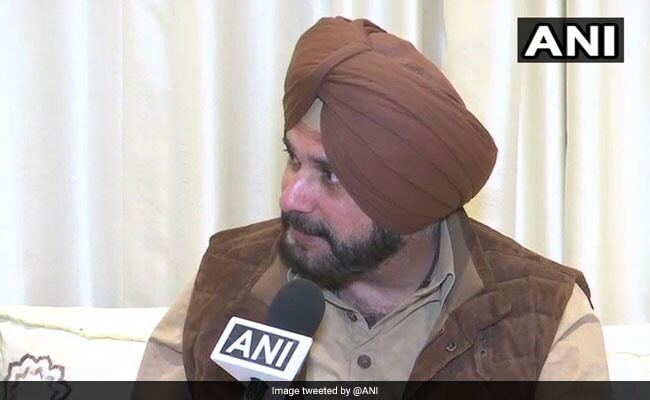 This visit will strengthen India & Canada relations, it is a mutual symbiosis which can transform both the countries," said Punjab Minister Navjot Singh Sidhu, reported news agency ANI. 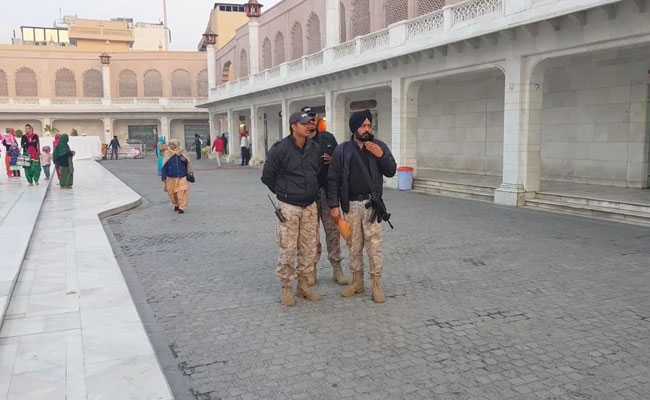 Security has been upped at the Golden Temple ahead of the Canadian Prime Minister's visit. During his visit to Mumbai, Justin Trudeau met with Chief Minister Devendra Fadnavis, ICICI CEO Chanda Kochhar and Bollywood superstars like Shah Rukh Khan and Farhan Akhtar.